The James Milner Foundation has been supporting the work of the NSPCC for many years. 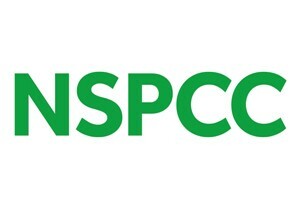 Part of the Foundation’s work is to support the NSPCC’s ground-breaking Schools Service – a service that visits every primary school in the UK and teaches children about what abuse is and what they should do should they encounter it whilst empowering children and giving them the courage to speak up. The service has been fantastically successful since its launch in 2011 reaching over a million children. The James Milner Foundation makes annual visits to schools around the North West to see how the money raised is being spent on ensuring these important messages have the opportunity to be delivered by an army of volunteers. We, along with the NSPCC, believe every childhood is worth fighting for and a child that is free from abuse is free to dream and to imagine. As a result of our work we have enabled the NSPCC to visit over 6,000 children in over 200 primary schools in the North West – an achievement we are fiercely proud of. In recent visits James and his Foundation have seen the volunteer-led assemblies and workshops in action. We have seen children listening intently to the important messages they are been given and more importantly how to react should they encounter anything that worries them, we’re constantly impressed and humbled with how the volunteers deliver the service and the high standards of co-operation between the NSPCC, parents, teachers and the schools – this is clearly an ongoing team effort. In a time when we’re all hearing about the horror stories around child abuse in the media we are so proud to continue our support for this amazing service on behalf of all children in the North West.